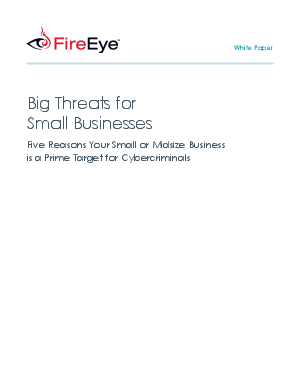 Cyber attacks are growing more sophisticated and, more often than not, target small and midsize businesses (SMBs). One unlucky click - a malicious email attachment, a link to a legitimate but compromised website - could result in a costly data breach that drains your bank account and customer trust. Why SMBs are easier targets.